Owned by Chef Pang, this cafe will bring out all the best desserts you’ve been craving for. I almost tried almost all of the desserts here & I keep on coming back again. It is located at the basement of Takashimaya besides KFC. It serves favourite American comfort food like mac & cheese, hot dogs, burgers, all day breakfast, whoopie pies and desserts. Pique Nique offers some of the best cupcakes with flavours like red velvet, chocolate caramel, chococheese, minty cookies & cream, strawberry cheese, banana split, lemon meringue, peanut butter, violet flower and carrot. 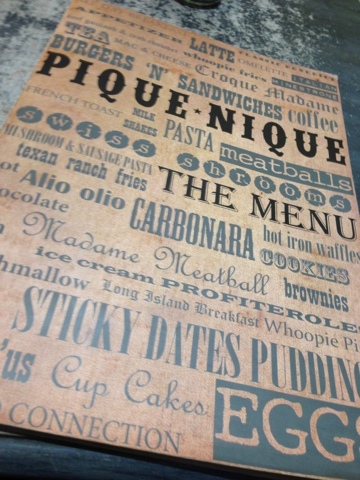 They also have delectable & delish hoopie pie, macarons, cakes & more cheese cakes. Pique Nique is one of the few places that serve all day breakfast in Orchard road. They have Pique Nique Big Breakfast, Sausage & Egg Gratin, Long Island Breakfast, Farmer's Omellette, Classic Benedict & Norwegian Benedict. On top of this, they also have meatballs, cajun chicken, fries & varities of burgers to choose from. I don’t think the desserts are life-changing, but most of them are reasonably priced and I will definitely go there when I want a light snack in between meal times. Pique Nique is one of the best place to simply surround yourself with food stuff forgetting to count your calorie intake & enjoying life through food with your friends, families & loved ones. Pique Nique is a casual and laid back American eatery with a setting inspired by the backdrop of Central Park in New York City. An enormous menu of soulful American comfort cuisine and desserts awaits diners, with notable highlights such as the cheesebugers, macaroni & cheese and various American desserts. Who doesn't love french fries by the way? Just by the name of this food place itself, everyone would never even have the second thought. "EVERYTHING WITH FRIES" is one of my latest discovery even if it started few years back & I just tried this recently with my friends. 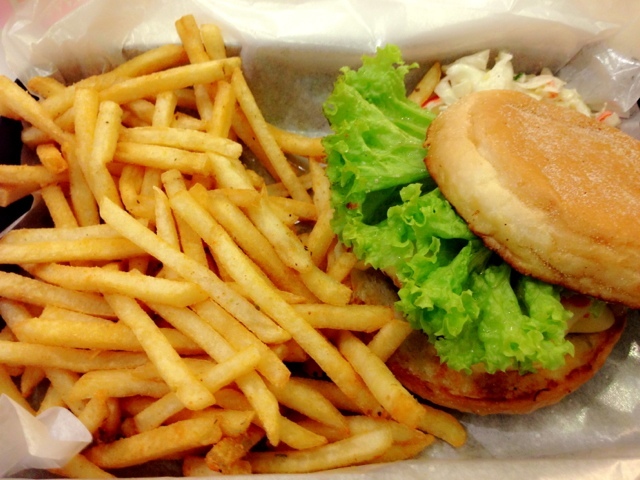 EwF has one location in Orchard Central as an all new burger joint. A must try in their menu will be the Har Jeong Kai burger, The Slider & Buttered Fish Sandwich. There are several flavors of fries you can also choose from: Original, Curry, Salt & Vinegar, Sour Cream & Onion, Garlic & herbs. You should also not to miss out their signature desserts like Nutella Tart & Fresh Strawberry Custard Cake. Currently they have few branches all over Singapore 40 Lorong Mambong, 458 Joo Chiat Road, Bugis Junction 200 Victoria Street & Orchard Central 181 Orchard Road. Their opening hours is usually 11AM- 10PM daily. So why don't give it a try & have a taste of EwF. Bonifacio Global City (formerly known as Fort Bonifacio or the Fort) is a highly urbanized district in Taguig City, Metro Manila, Philippines that in recent years has experienced robust commercial growth through the sale of military land by the Bases Conversion & Development Authority (BCDA). The entire district used to be the part of the main Philippine Army camp in Fort Bonifacio, Taguig. The reason I insisted to visit this place even if we were running out of time were the shops & resto I must see & try for myself. We first had some refreshing smoothies at Jamba Juice. They offered classic, all-fruit & creamy smoothies. Have a try of their protein berry workout & strawberries wild. It's made up of whole fruits & juices with nonfat frozen yogurt & sherbet. They also have steel cut oatmeal, yogurt & fruit parfait, fresh squeezed juice & california flatbreads and wraps. With every order of a smoothie, get a complimentary boost on them. Choose from Energy, Immunity, Daily Vitamin or Soy Protein. We also went on to try Cupcakes by Sonjas. This is definitely a must try because it's another treat for you, cupcake lovers! At Cupcakes by Sonja, they keep things simple, real, and focused on what they do best: making deliciously amazing-tasting cupcakes! Cupcakes by Sonja is just a quaint store at Serendra but is definitely worth trying! On the window are displays of cupcakes -- makes you wanna dig in! They offer a variety of cupcake flavors - from non-refrigerated to refrigerated cupcakes. They also have cookies, and bars as well as different beverages: lattes, hot or cold, milkshakes, iced tea, lemonade and coffee. They now offer custom made cakes as well as mini cupcakes, perfect for parties and other celebrations! 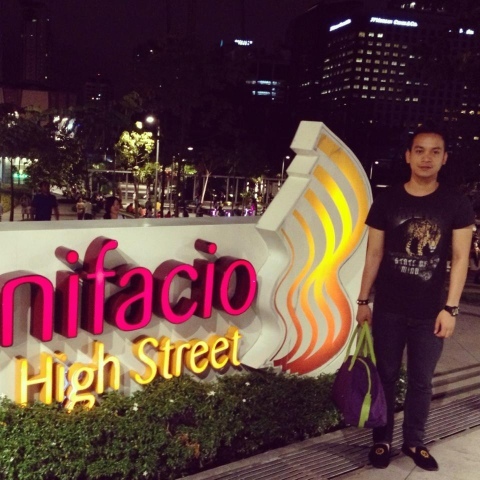 If you happen to be at Makati, and if you love food & shopping , drop by Bonifacio Global City (The Fort) and you'll definitely love it! 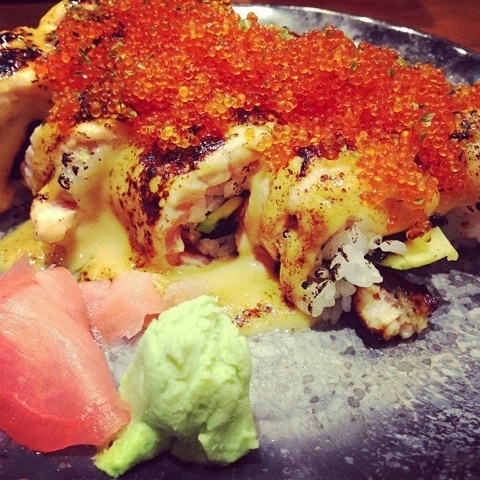 Singapore going Frenzy over this Shiok Maki. It was a typical sunday getaway when I decided to celebrate my sister's birthday in SM Megamall for a day of bonding moments & food trips. Deciding on the right place to have our lunch was a tough task as we looked into place that is not only worth blogging but also offering incredible dishes. With the wide varieties of restaurants to choose from, we had a hard time to choose between Yabu PH & Cajun Red Rock, but Yabu PH that time had a very long queue so the three of us finally decided to give Cajun Red Rock a try. The interior of Cajun Red Rock was quite unique although not so impressive. When it comes to their food selection, it's a surprise for me that they offer the best mouth watering dishes with a great taste and price worth conquering. 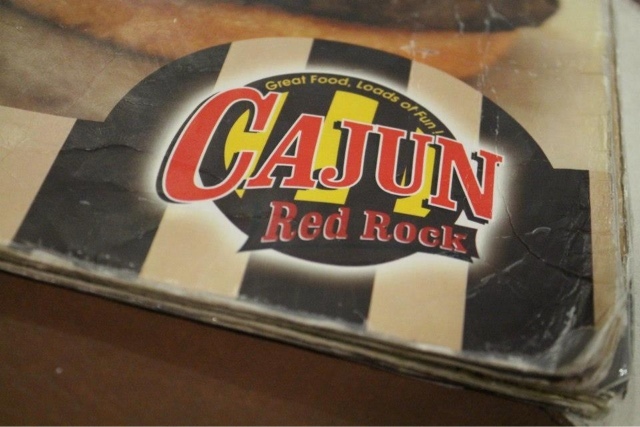 Cajun Red Rock: Great Food, Loads of Fun! This is the time all music lovers have been waiting for. With all the line up of music festivals awaiting for us, especially Coachella 2013, I didn't hesitate to attend the most recent hip hop music fest here in Singapore held last April 6 at Fort Canning Park. "Witness the birth of an eclectic music phenomenon as an assortment of bigwig acts flock to the little red dot for a sensational auditory celebration. With a killer line-up of international and local acts, the Big Wig Music Festival is set to take revellers to a stunning kaleidoscopic soundscape. The 10-hour music festival kicked off a little late due to the rain, but it definitely did not stop the crowd from enjoying the music and climbing up the countless steps of Fort Canning Green to join the party. DJ Theory & Captain Planet got the party started with reggae and hip-hop mixes, kicking off the festival for good. Singapore-bred Masia One hosted the event, performing some of her popular hits. Lady Leshurr from UK amazed the crowd with her fast rapping, with a lot more attitude. Singapore's very own rap star Kevin Lester aka The Lion City Boy proved that local music can be just as good. Other prestigious international acts that performed were the The Bizarre Ride live with Pharcyde, Captain Planet, and The Cuban Brothers. A series of renowned local acts such as Wicked Aura and Pushin'On were also featured at this exclusive music event. The festival made it enjoyable to dance with strangers and friends, it was perfect for the rave. 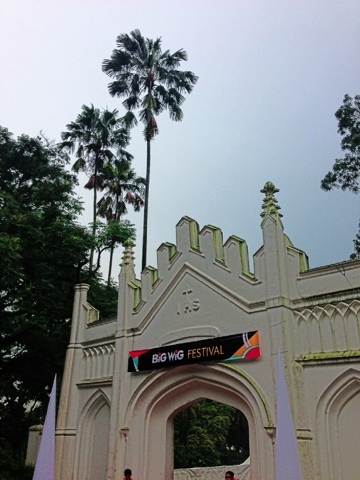 Until the next Big Wig Festival in Singapore (hopefully), enjoy the pictures! It was Holy Week last month when I noticed that all the people in the world were having their grand vacation on some of the top beach resorts around the universe. So my dear friends & I came up with a bright idea of spending our weekend together in a beach area. Due to time conflict, we came up with the idea of looking for the most accessible beach resort & worth visiting. 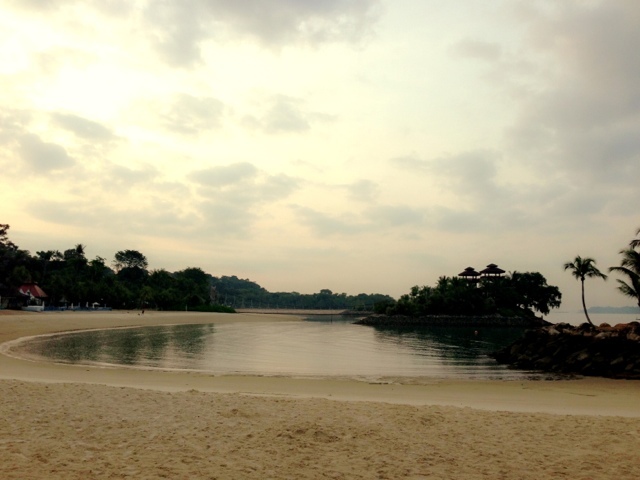 With that in mind, Palawan Beach in Sentosa Island was our best option. We went early morning the next day before sunrise to Palawan Beach in our best summer look. It turned out to be a photo shoot kind of day & I enjoyed the rest of the time finishing a book & listening to good music under the heat of the mighty sun. This is the best place to simply enjoy the beauty of life and nature once in a while. Palawan Beach lies in the centre of the southern coast of Sentosa. There is a suspension bridge that leads to a small islet off the coast which is said to be the Southernmost Point of Continental Asia, or Asia's closest point to the Equator. There are several bars along the beach offering food and beverage to visitors as well as Beach Station of Sentosa Express. For a more casual experience, simply take a stroll down the beach & enjoy the refreshing sea breeze and gorgeous scenery. Flanked by two viewing towers, the timber viewing deck offers an endless view of the South China Sea. Palwan Beach location makes it the ideal destination for the extraordinary. Whatever you decide to do, you are bound to have fun at this family-friendly beach. 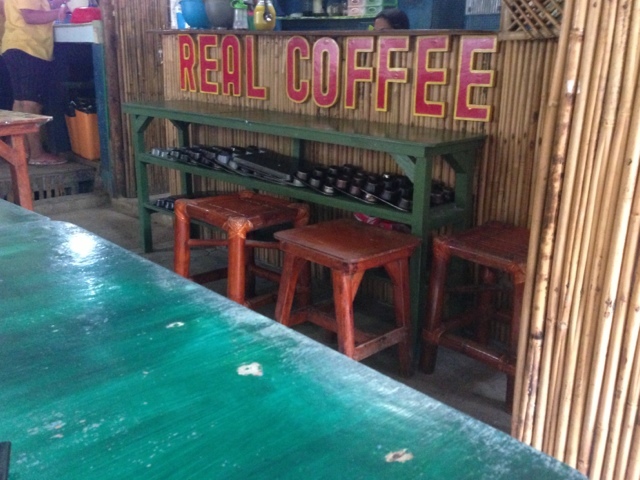 REAL COFFEE and Tea Cafe has been on every food blogs and a popular must-try in the island of Boracay. Located in a small alley along Station 1, this rustic place offers the best "Calamnsi Muffin" in the world. So after hours of exhausting rides & water adventures, my mom & I had decided to give it a try. Known for its wooden chairs & tables, this place is a typical pinoy style kitchen where its basically open type where you can see how they prepare your food with the best ingredients. The aroma of coffee & freshly baked muffins will even tempt your appetite to order more. Haha! I had their famous Calamansi Muffin (A Real Coffee Original) & Boracay Buzz (An iced mocha with banana). Mother dear tried Marc's Melt (Chicken & cheese grilled) garnished with onions, tomatoes & lettuce. It was so delicious & the muffin was so yummy (moist & not so sweet). I am definitely going back again in this awesome cafe to have a bite of their sandwiches & muffins. Real Coffe & Tea Cafe LOGO. 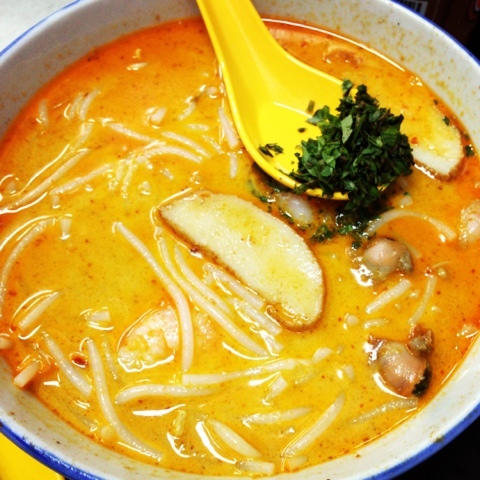 The famous "Laksa" in Katong Laksa located in Holland Village. Happy Lemon is one of the latest craze in the Philippines. I saw this drink flooding on Instagram back then where I got interested of giving it a try. Their menu offers refreshing drinks which includes Lemon Series, Rock Salt Cheese, Mousse Spin, Cocoa & Coffee, Specialty Drinks, Milk Tea & Fresh Fruit Tea. Happy Lemon does not only provide fresh tea to the consumers but also a tea culture & experience of colorful, healthy, hygiene and trendy which match the lifestyle of teenagers. 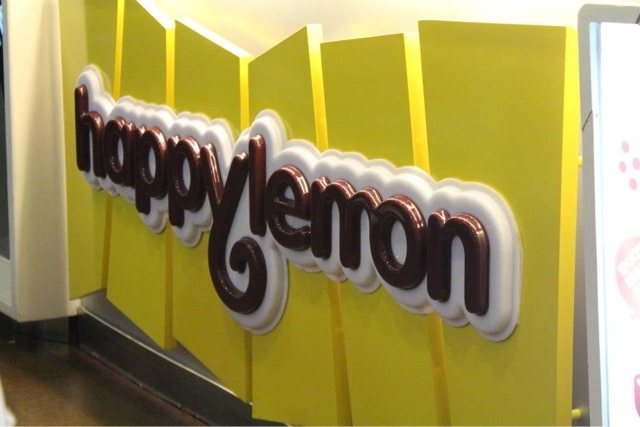 Singapore can definitely have the experience of Happy Lemon in their outlet in ION Orchard (here). If you need to have an energizer & awakening drink while shopping around, I recommend of giving it a try.